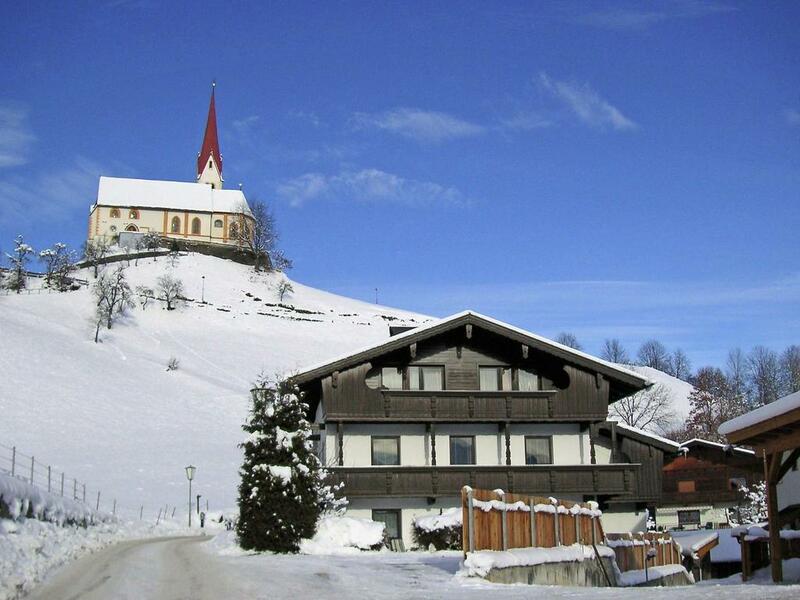 If you are looking for a charming, quiet little village to start your winter wonderland adventure in Zillertal Valley. Then Uderns is a great place to stop at. 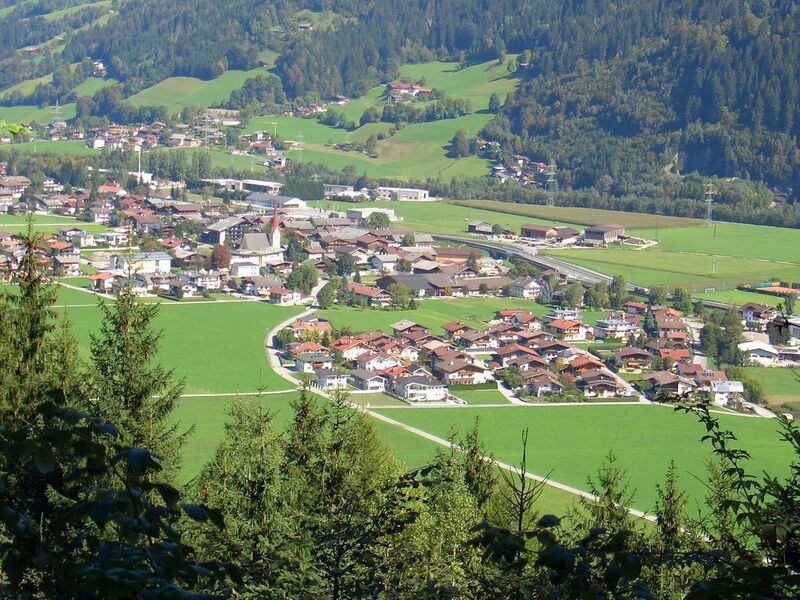 This village lies at the beginning of Zillertal Valley. It is home to long sunny evenings, sparkling snow dunes, and many outdoor activities in both the winter and summertime. It is a small municipality, located in the Schwaz district of the Tyrolean state of Austria. With a population of approximately 1,753 as of January 2016. Due to its central location and close proximity to the Zillertalbahn. It makes a perfect destination for holidaymakers who don’t want to travel far into the valley. In addition to having tons of inns, cafes, snack stations, and a nostalgic steam engine. Uderns is a family-friendly resort that holds weekly events like music evenings, guided hikes, and day-trip activities. 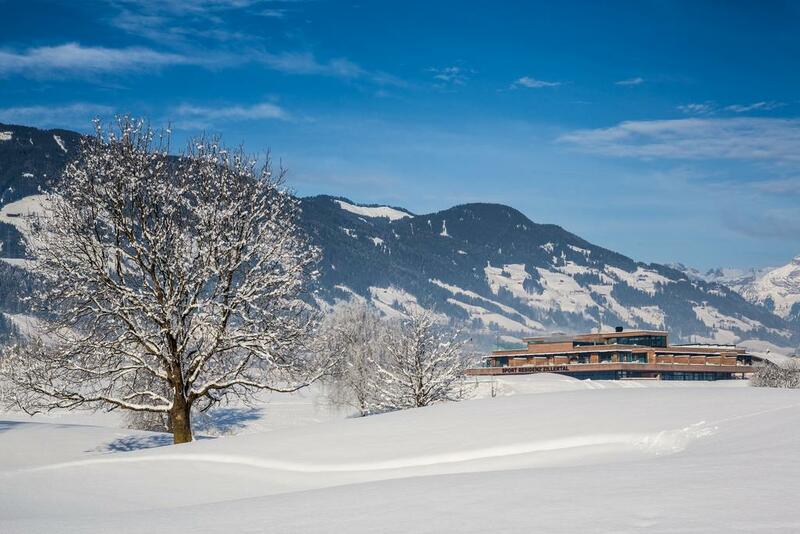 Uderns is in the perfect spot for those wanting to reach the top skiing areas. The Spieljoch and Hochzillertal-Hochfugen are easily accessible by ski bus. Which is a free ride for those who have the proper ski passes. Each ski area is only about ten minutes away from Uderns. Which makes it perfect for sports enthusiasts who are looking to get as much ski time in as they possibly can. The Hochzillertal-Hochfugen presents a breath-taking landscape filled with kilometers of skiing runs ranging anywhere from beginners to pros. There are endless off-piste possibilities and even a snow park for those who want to freestyle. There are plenty of ski shops, ski schools, and inns along the mountain for those who want to be out on the mountain all day long. The Spieljoch ski area offers longer downhill ski slopes more suitable for those who want to relax and take in the gorgeous panoramic views. A new cable railway was built to provide access to new activities like a toboggan run, a sports shop, and a new winter hiking trail. For those who want to do a little bit more than skiing… There are winter hikes, illuminated sled runs, ice skating, and even a climbing center in the Uderns area. Anyone wanting to travel to Uderns during the summertime should check out the Nordic walking, swimming, mountain biking, climbing, and hiking activities. For those wanting to relax at a spa, the neighboring town of Fugan. So only three kilometers away, has a spa complex with an adventure pool and sauna area. But the prime jewel for those visiting in the summertime is for those who want to golf. The Uderns 18-hole championship golf course was opened in 2014 and has both challenging greens, fairways, and stunning surroundings. 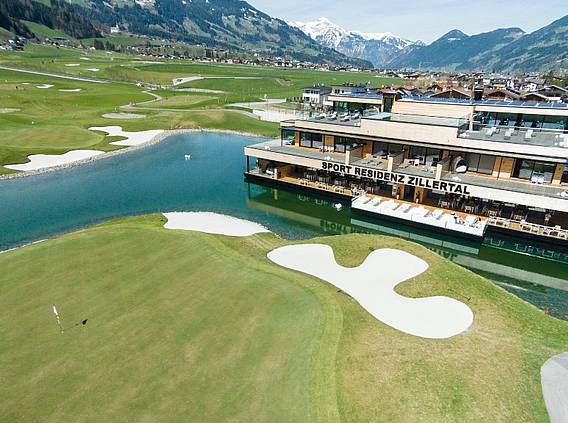 It is a 5-star golf course, was rated “Best New Club” for Austria back in 2015. Also has a generous driving range. It does have a PGA golf school for those who want a shorter game area with sand bunkers, putting greens, and covered tees. The school can help anyone develop their optimal golf swing as they have taster sessions. One-on-one lessons, and courses for those who want to train like the professionals do. 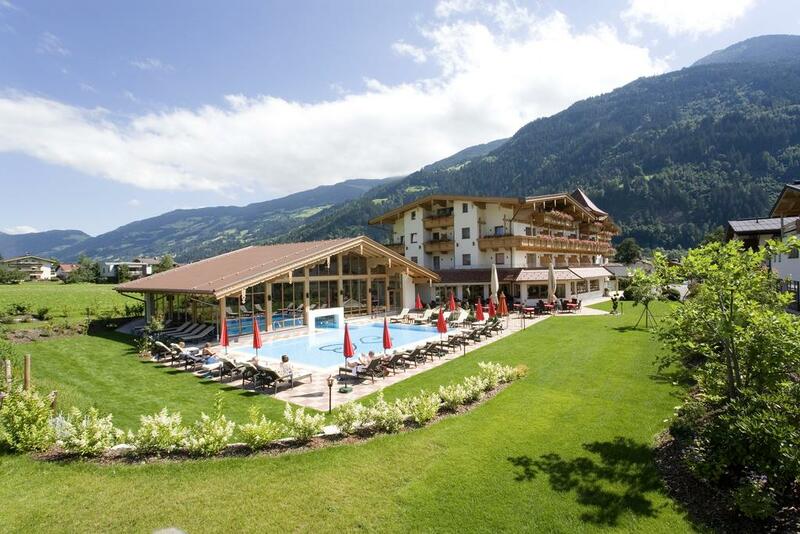 For those who are staying at the Woscherhof Hotel, will get a twenty percent green fee discount. to the top three ski areas, the Zillertal Arena, the Spieljoch, and the Hochfugen-Hochzillertal. This ensures that no matter what season you visit in, you will always have easy access to the areas best attractions. In terms of the actual hotel. So it comes with panoramic room views. Nine different suite types, and a brand new wellness area which comes with an indoor pool, outdoor heated pool, and several different saunas. The saunas are located in a “sauna village” area. Allowing you to relax away from the hustle and bustle of the main part of the hotel. It has an Alpine herb sauna, a Finnish sauna, a Bio sauna, an Infrared cabin, a steam bath, and a Kneipp spa. For those who want to get multiple sauna sessions. There is a room of silence with a lighted dome for peace and quiet, as well as comfortable waterbeds. Finally, if you choose to go with the deluxe board. So you will be treated with breakfast, a 5-course dinner menu, and snacks throughout the day. In the morning there is a breakfast buffet which takes products from the entire region. That includes items like bacon, cheese, eggs, milk, and fruit. The gourmet buffet provides midday snacks like soups, fresh salads, and homemade cakes. Whereas the 5-course dinner menu provides a gala feast with dishes from Austria, Tyrol, Mediterranean, and International choices. All dishes will use regional ingredients when possible, and will always feature healthy nutrition.